Tens of thousands of suspected left-wing sympathisers were killed in South Korea in the summer of 1950, at the start of the war on the Korean peninsula. At the start of the Korean war in 1950, tens of thousands of suspected communist sympathisers were executed by the South Korean military. The regime feared they might support the North Korean invaders. Many of them were political prisoners, who were taken from their cells and shot dead. Mike Lanchin has been hearing from Gaeseong Lee, whose father was a prisoner at Daejeon jail when he was killed. 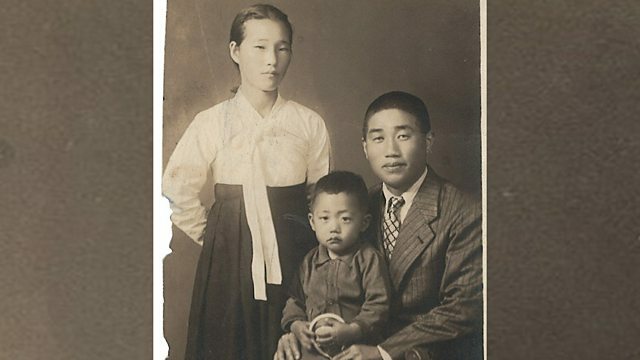 Photo:Gaeseong Lee as a small child with his parents. Copyright: Gaeseong Lee.